I remember seeing one of these at a car show many years ago. It's a car that looks really good in pictures, but really great in person. This is one of those cars that could have only happened in Italy. The body is from Pininfarina, the engine from OSCA and most everything else from Fiat. 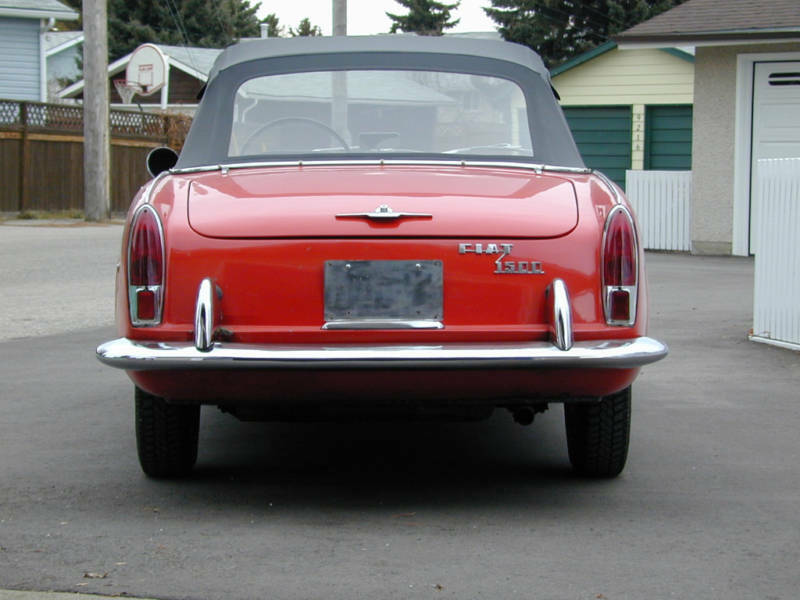 It was badged and sold as the Fiat 1500, but most people, in order to distinguish it from the later Fiat 1500, call it the Fiat 1500 OSCA. The roots of this car go back to 1955 and the Fiat 1100 TV. A few years after its introduction, Fiat hired Pininfarina to create a new body for the 1100 TV. Fiat increased the engine displacement and the resulting car was the Fiat 1200 Cabriolet (Spider). Fiat was looking for an upmarket version of the 1200 so they hired OSCA, owned by the Maserati brothers, to design a high-performance engine for the Spider. The engine was designed by OSCA, but it was built by Fiat. 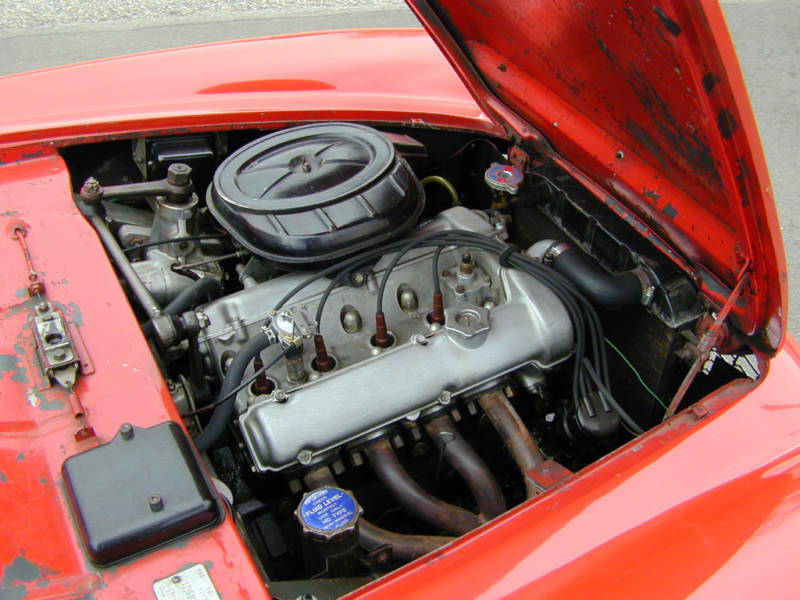 It is a unique engine, sharing little, if any, parts with other Fiat engines. It also found its way into some OSCA produced cars. This car is a remarkably honest Fiat 1500 OSCA. The seller has owned it for 20 years. Originally gray, the seller says it had an amateur paint job done "long ago". He describes it a a good 20 footer. He mentions that there is "evidence that the passenger front fender and inner panel have suffered damage", but was repaired to an "acceptable" level. He says there is very little body rust, but parts of the floor are "soft". The engine was rebuilt prior to the seller buying it and it still runs strong. The interior and top are in very nice condition. Very importantly, all of the trim is with the car and in good shape. 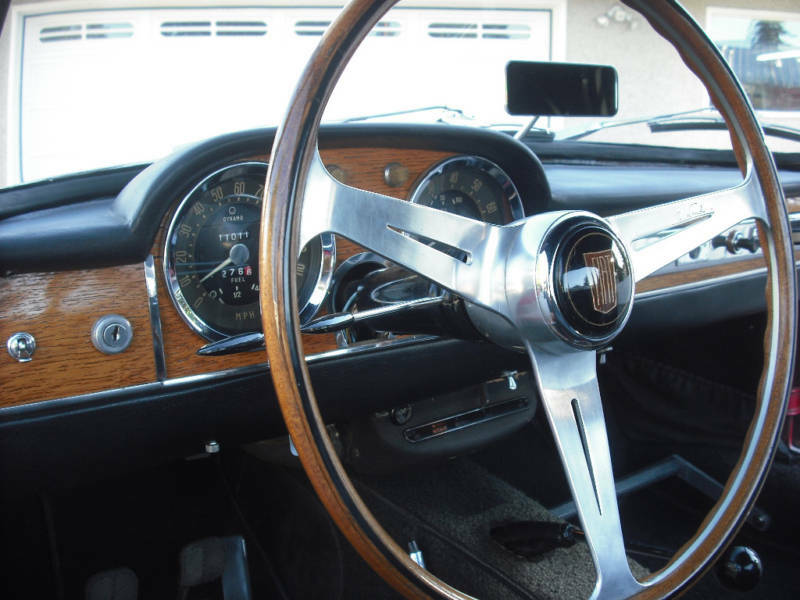 While these cars are fairly rare, they are not extremely valuable. This one has a "Buy It Now" of 12,000.00 and the seller is accepting offers. This is a car you could buy today, spend your winter weekends restoring it and have a really nice car next year. Or, you could drive it as is for awhile, have your fun now and put off the restoration for another few years. I love cars that give you choices. Located in Calgary, AB, Canada, click here to see the eBay listing. A big thanks to Tony for sending me the link to this car. A great write up for a gem for collectors. 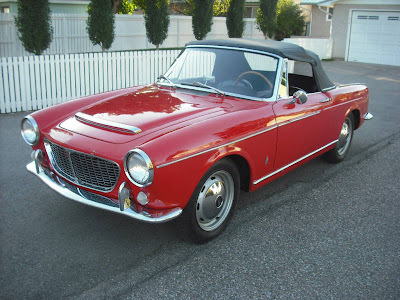 The 1500 OSCA should escalate in value: Maserati twin cam, Pinninfarina design, Italian built..roadster...for $12k?? I'll take 2! values seem to be increasing- SCM now rates them at $30-45k. I tried to buy this car, but alas, too late. the big pproblem for these cars is lack of engine parts. as fewer are kept on the road, the ultra rare will become more rare. with Coach built OSCAS soaring, and 1600 OSCA coupes going for hundreds o thousands, the FIAT OSCA seems like a bargain. any leads appreciated.